A book sale at Pool Academy library helping to raise money for the school is proving popular with students. More than £100 has been raised in the first few days of the sale which includes stationery as well as fiction and nonfiction books. Three bookshelves full of paperbacks arrived on December 7 for the start of the sale which will run until the end of this week. The fair is being held in the library with many books sold at half price. This means students could get a new book for only £2.99. This is the third year the school has held the fair and each year a percentage of the sale goes towards buying more books for the library. Students have been helping to organise and sell the items during their morning break and lunch times. Sandra Hampton, Pool Academy Librarian, said: “In the first two days we raised more than £100 in sales of books and stationery. 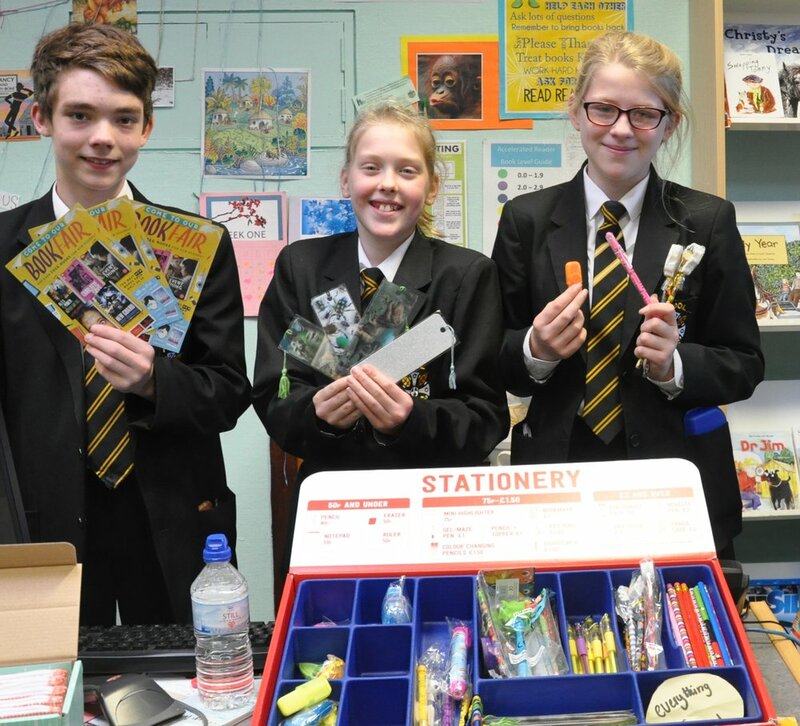 Year 7 student Megan said: “I have bought some books and I have bought some stationery.